Much like birds, butterflies are attracted to specific types of plants, so if you want a garden filled with beautiful and breathtakingly bright butterflies, you will need to ensure your garden is butterfly ready. Beautifully bright butterflies compliment your garden and make a great impression. way to attracting these beautiful guests in your garden. 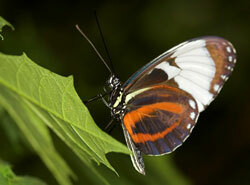 Adult butterflies feed on the nectar from flowers. Flowers such as bee balms, blueberry, impatiens, lilac, marigold and verbena are among the favorite butterfly plants. Other favorites include daisies, tickseeds, lantanas as well as butterfly bush and butterfly weeds. To further increase your chances of attracting these guests, it is advisable to have a few flat rocks in your flowerbeds where the butterflies can stretch their wings out and absorb the heat from the sun.